Cyber Cheating has become a major problem to relationships these days. You see, years ago you just had to worry about you partner spending time out on the town without you. Today, your partner could be at home on the computer engaged in intimate conversation with someone else. Even though they may think that they are not doing anything wrong because they are not physically involved with someone else, but what they don't know is that this behavior is just as damaging to a relationship, and in some cases it is FAR worse. 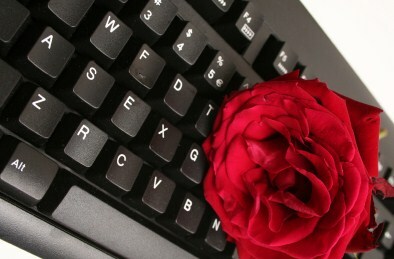 Internet Infidelity may begin initially as flirting online, but because of the addictiveness of the internet, many that start out with no intentions to cheat are sucked into the black hole known as the World Wide Web. As they become entangled in the web, the conversations become longer and the possibilities for cyber cheating to occur increases. With the resources at their finger tips, they are able to expand their search and seek out potential partners that are closer to them and extramarital affairs, one night stands, and that fling are now closer to becoming a reality. It is evident in today's society by the significance and growth of all the social networking sites that our social lives have crossed over to the internet. For many, this virtual world allows them to live out their fantasies that they can't in "real life". These sites now offer options of instant gratification and the temptation seems too much for more and more people involved in a committed relationship. Technology has created a smorgasbord for those looking to fulfill their sexual or emotional appetite. While cyber-cheating begins as emotional infidelity, it begins a snowball effect in which chat rooms lead to games like Naughty America (virtual world), which lead to sites such as Craigslist or AdultFriendFinder.com. Although cyber cheating may seem more innocuous to many, it can damage a relationship just as easily as any extramarital affair can so it needs to be addressed and confronted sooner rather than later in order to preserve a committed relationship that is worthwhile. If you suspect you spouse or loved one is involved in cyber cheating you can use technology in your favor to put your suspicions to rest. There are many programs available today for your computer that will tell you exactly what your partner is doing when he or she is locked away on the computer late at night. "All the signs he was cheating online were there"
Be sure to come back to see how you can use technology to catch your cheating partner.